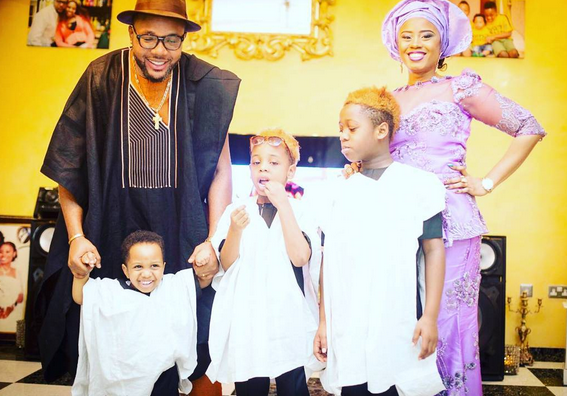 Popular music star and Owner of 5-Star music Kcee younger brother and celebrity millionaire, E-Money, shared a photo of him, his wife and their three kids on social media (Instagram) as they celebrated fathers day yesterday... As you can see on the picture, the family is indeed beautiful. Keep it up E-money!! !